Ladies and gentlemen, this is your captain speaking. 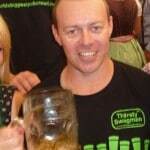 Your German beer drinking captain, that is, and you’re in for a very smooth ride. 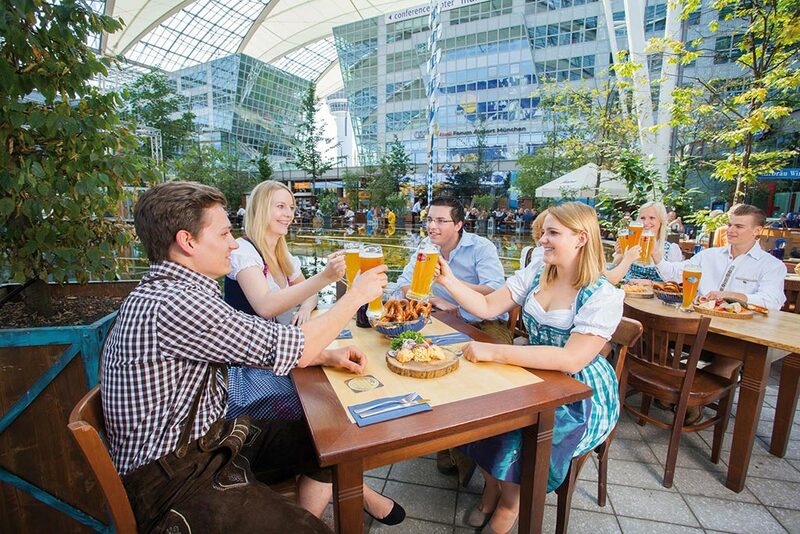 Because your Oktoberfest adventure will most likely begin and end at the Munich airport, so should your beer drinking. And because this is, in fact, Munich, Germany, we’re not talking about a lame airport bar with sticky bar stools and a cranky, bearded old bartender. We’re talking airport brewery – with all the magnitude and revelry you’ve come to expect from the host city of the largest beer festival in the world. This is Munich’s Airbräu, Europe’s only airport brewery. 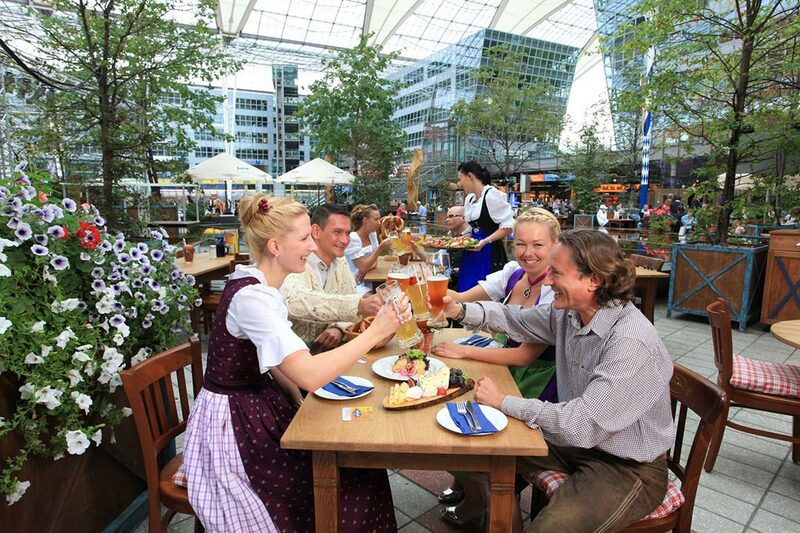 Munich’s Airbräu is Europe’s only airport brewery and all of their beers are brewed on-site inside Flughafen München. They are committed to sustainable brewing practices (yay Earth!) as well as using only regional ingredients—not hard when you’re located pretty damn close to the hops-growing capital of the world. They have a master brewer and aren’t afraid of a good air travel pun or two. Tours of their airport brewery are also offered. 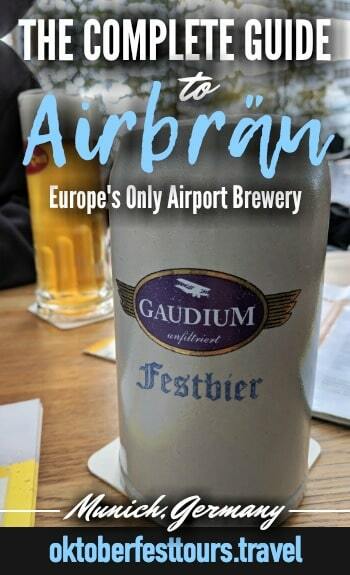 Munich’s Airbräu is Europe’s only airport brewery, sure, but hear this: Airbräu is the only airport brewery in the world brewing it’s beer according to the Reinheitsgebot, Germany’s beer purity law. PLUS, they use Hofbräu brewing yeast so you know this stuff is good. Kumulus | Their refreshing, fruity, easy-drinking weissbier. Yes, it’s cloudy. Jetstream | Lighter in colour than the FliegerQuell but hoppier because it’s a pilsner. 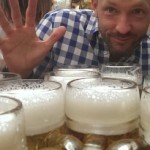 A pilsner in Bavaria? Weird, right? The Airbräu airport brewery also has a rotating selection of seasonal beers including: Aviator the dopplebock, Mayday the malty weissbier, Airnten the light summer beer, Krampus the robust winter beer, and, my personal favourite, the Airbräu Festbier. Whichever Airbräu beer you prefer, they offer party kegs for your take-away pleasure. These totally count as carry-ons. Who needs underwear and toothpaste anyway? Because every beer garden worth it’s weight in weissbier serves up hearty traditional Bavarian fare, right? The Airbräu airport brewery is no different. Secure those tray tables people ‘cause they’re about to be loaded up with pork knuckles, schnitzels, and—what goes best with air travel?—pretzels! Not to mention the pork sausages, roast ducks, and potato soups that might make taking off a tad more difficult. They’ve got breakfast, vegetarian options, a buffet, and something they call the “last meal” – a glass of tap water, one bread roll, and a cigarette to smoke outside. I love when my dark beer is served with a side of dark humour, don’t you? 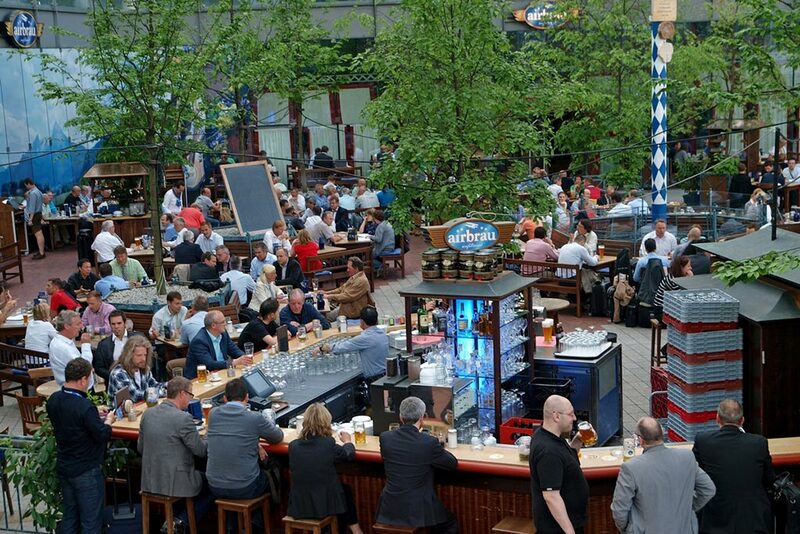 When you arrive in Munich, don’t be so quick to run screaming from the airport in search of the nearest beer garden—there’s one right there! 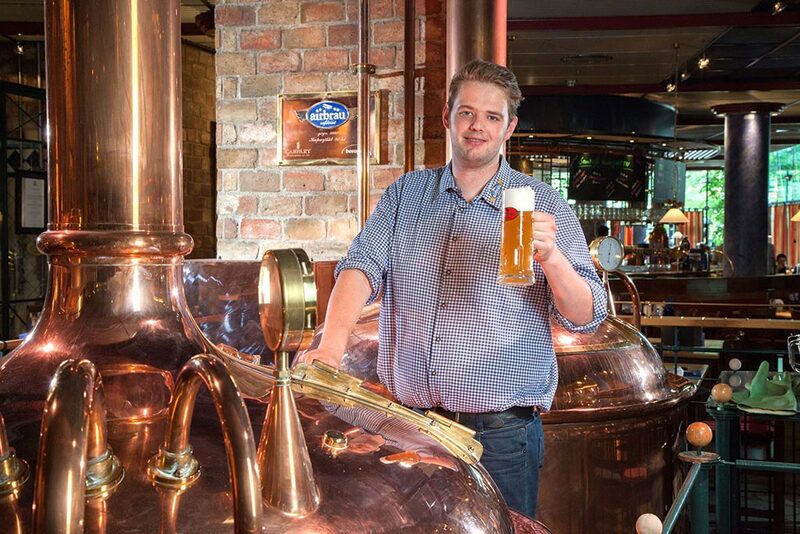 And with on-site brewing, traditional Bavarian food, and being truly one-of-a-kind, it’s a pretty damn good one. 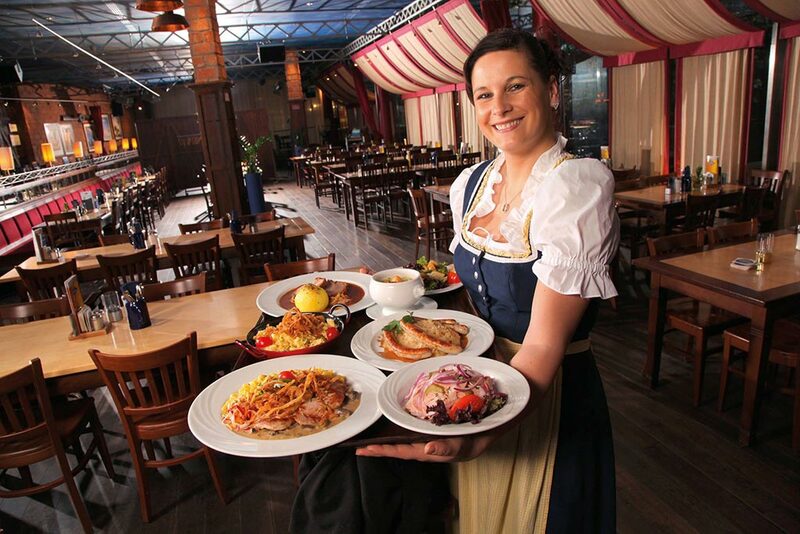 Stop by again before you depart Munich—why should your Oktoberfest celebration end at the Weisn? Missing this year’s? Have no fear! 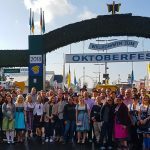 Check out our tours for next year’s Oktoberfest–it’ll be here before you know it.